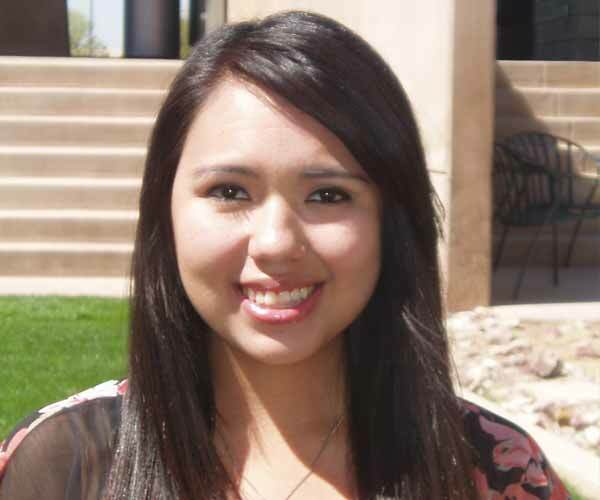 Veronica Nuñez studies at Chandler-Gilbert Community College (CGCC), and she credits the Chicanos Por La Causa (CPLC) matching scholarship program for lifting the financial weight off her shoulders and, more importantly to her, off her parents’ shoulders, as well. “My parents have always been so supportive of my educational dreams, and I didn’t want them to be stressed about college expenses for me. When they found out that I received the CPLC scholarship, they were so proud and felt very blessed for all of us,” says a grateful Veronica. An unexpected bonus to Veronica’s interest in higher education, and her willingness to put in the time and energy toward her dream of becoming a Special Needs K-3 teacher, is that her two little sisters, ages 7 and 11, have become interested in her schooling and have already started asking her questions about college and talking about when they can get to go to college, too! “I go to school full-time, and I work as an Instructional-Aide here at CGCC. Plus, CPLC has given me the opportunity to work in community service, and it has given me a complete and new insight into nonprofits; and I have enjoyed it immensely. Truly, the CPLC scholarship program has helped me keep this great balance in my life, and I’m very appreciative,” says this busy student who will be attending ASU in the fall.